Right Now Air & Solar is proud to serve the Fairfield community! 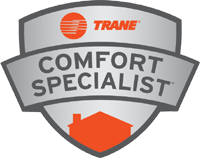 Please call us today at 707-447-3063 to consult with our home comfort specialist. About Fairfield, CA - Happy to be your hometown Heating & Air Conditioning Contractor! Fairfield is a lovely city, nestled between some of the most riveting landscapes that California has to offer. It is located almost midway between two mega-cities – San Francisco and Sacramento – and offers a culture and tourist experience distinct from both. It combines the simplicity of old world values with the luxury of modern living; an intoxicating combination, often described as the best of both worlds. With a Mediterranean climate assuring dry summers and mild winters, Fairfield makes for a great getaway location all year round. The beautiful weather is complimented by a range of outdoor recreational facilities ideal for sports and nature enthusiasts. The city boasts of over 18 parks and recreational centers, including famous tourist attractions such as Linear Park and Rockville Hills Regional Park, the latter of which is the largest in the whole of Solano County. Hiking, biking, golfing and picnics are popular pastimes here, though there is much more to the city than just beautiful outdoors. The most well-known of all of Fairfield’s attractions are the Jelly Bean Factory and Anheuser-Busch Brewery. While the first produces fine candies, the other America’s favorite Budweiser beer. Also, the city receives many visitors on account of its proximity to the Suisun Valley, which is dotted with quaint little vineyards and wineries having vintage style tasting rooms. Other than these typical tourist attractions, Fairfield hosts some unique events that offer a once-in-a-lifetime experience to those unfamiliar with their traditions. The Tomato Festival, Vezér’s Summer Concert Series, Summerfest Family Festival & Car Show and Suisun Valley Fun Family Farm Days are amongst the most exciting and enjoyable events held here. Many tourists, in fact, plan their holidays in accordance with Fairfield’s events’ schedule, so as to not miss out on any good-old Californian entertainment.